It’s easy to start a diesel truck once you know how it differs from a gasoline engine. Be patient and wait for the glow plugs to warm up sufficiently. In general, a diesel engine is more efficient. A diesel engine can increase a truck’s fuel efficiency by up to 20% over gasoline counterparts, according to the Diesel Technology Forum, which can save drivers of heavy-duty pickup trucks up to $1,066 annually. While these trucks do come with a higher price tag, they can make up for it in fuel savings. But if you’ve attempted to start a diesel truck you may realize it’s not the same as starting a gasoline-powered vehicle. Where a gasoline engine can be immediately cranked over and turn on, a diesel engine needs to warm up a little first. In this two-part article, learn all about how to start a diesel truck and why it differs from starting up a gasoline-powered counterpart. Part 1 discusses why starting a diesel truck is different and Part 2 goes over three options you have to start up a diesel truck and get it running. Aside from using diesel fuel versus gasoline to fuel up, there are a few other components of a diesel engine truck that differ from a gasoline truck. One of the main differences is related to how the fuel combusts inside the engine. A traditional gasoline engine utilizes spark plugs to start combustion. A diesel engine relies on compression to raise the air temperature inside the engine so the diesel fuel combusts when it meets the hot air. So, temperature is very important to diesel trucks. Glow plugs. A glow plug is used in a diesel engine to help it start. This is a pencil-shaped metal heating device. It uses power from a truck’s battery to warm up. Once it’s warm, diesel fuel is sprayed on the tip of the glow plug, igniting the fuel regardless of overall engine temperature. Double the batteries. Diesel trucks have two batteries to start the engine and heat up a truck’s glow plugs. Because of the amount of power, or amps, that are needed to start a diesel engine, a diesel truck must use two batteries to start. Make sure these batteries are always fully charged. There are three main ways to start up a diesel truck, each depending on the type of truck, how old the truck is, and technology it has installed, such as air intake heaters. Regardless of how you start your diesel truck, make sure the parking brake is always on and the truck is in neutral or park. Option 1 of 3: Reference the glow plug. The most common way to start a diesel engine truck, especially newer models, is to reference the glow plug indicator light, which will inform you when the glow plugs have been heated sufficiently to crank over the engine. Step 1: Turn the truck’s key. You want to turn the key to “start.” Make sure you do not fully turn the key to the “on” position. Some trucks may have a “wait to start” indicator light or warning. Step 2: Look for the glow plug lights. You will know it’s time to move to the next step when either the glow plug indicator light illuminates and the wait to start warning goes away (if equipped with the warning light), or until the glow plug indicator light illuminates (if you do not have a warning light). Note, if you do not wait for the glow plugs to fully heat up before you fully start the truck, you can risk damaging your glow plugs over time, which can result in the need for replacement. In addition, the colder the weather, the longer it may take for the glow plugs to warm up. Be patient to avoid damage to the glow plugs. Step 3: Turn the truck on. Once the glow plug lights have illuminated, it’s safe to turn the truck key in the ignition to the “on” position. It may take a few seconds to fully crank over, but be sure to not let your truck crank for more than 30 seconds to avoid damaging the engine. If it will not start, turn the ignition off completely and restart the process of warming the glow plugs and restarting the truck. Option 2 of 3: Utilize an air intake heater. Another way to start a diesel truck is with the addition of an air intake heater. This device is in addition to the glow plugs and can help warm up the engine more quickly as well as reduce smoke emitted during start. An air intake heater will help quickly move warm air into the combustion chamber of the engine to help speed up starting your diesel truck. Step 1: Turn the truck’s key. Just as with the glow plugs, you will need to turn the truck’s key into the “start” position, without turning it on completely. Step 2: Wait for the glow plugs. You will still need to wait for the glow plugs to warm up before the engine can start. An air intake heater is in addition to the glow plugs. Look for the glow plug indicator lights to illuminate before starting the truck. Step 3: Start the truck. Once the glow plug lights have turned on, you can start the truck. Turn the key all the way to the on position and wait for the truck to turn on. Do not let the engine crank for more than 30 seconds. The air intake heater is working to move warm air into the combustion chamber. If it does not start, turn the key to the “off” position and repeat the process. An added benefit of air intake heaters is the reduction of black or white smoke that typically comes with starting a diesel engine cold. Option 3 of 3: Warm it with an engine block heater. For trucks do not warm up sufficiently to start or that are in extremely cold weather, you can also try using an engine block heater. This helps warm up a truck’s oil and/or coolant. In areas with cold weather, you may see a plug sticking out of the grill of many of the cars. These are connected to engine block heaters. A basic engine block heater can replace the engine oil dipstick for a basic solution. The more common engine block heater replaces the drain plug below the engine block. Another common option is a heating pad that is placed on top of the engine block. You can also wrap your batteries with a thermal wrap to keep them warm. A newer option are magnetic heaters that connect to the engine block. Step 2: Plug it in. For the engine block heater to work, regardless of type used, you need to plug it into a source of power. You may need to keep a cold weather extension cord on hand. You may need to leave the heater plugged in whenever you are not using your truck when the temperatures are below freezing and you may not have the time to wait for the heaters to warm it up from totally frozen. Step 3: Turn the truck on. Once your truck components are warm enough, you can follow the steps above to start your truck with either an air intake heater or just using the traditional glow plug indicators. Ensure you operate your diesel truck correctly. Start with turning it on correctly. Knowing how to start a diesel truck, understanding how glow plugs work, and when you may need to use an engine block heater can help keep your diesel truck in good working order. 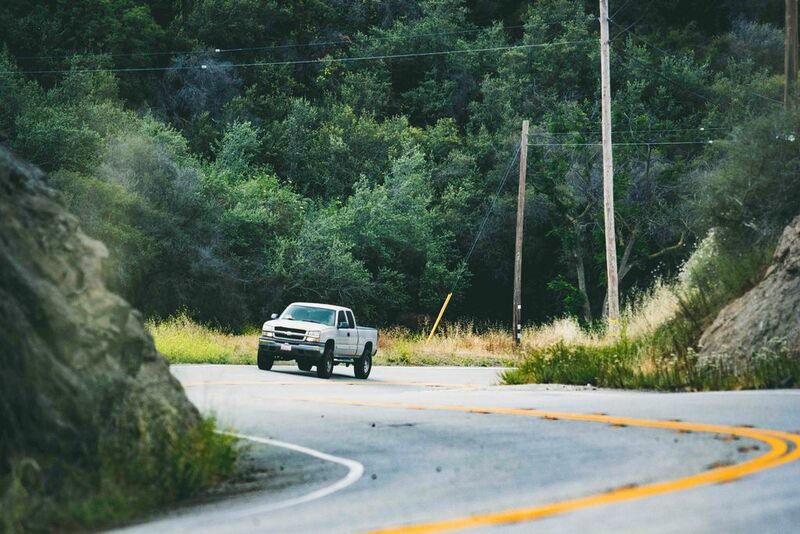 What to look for when buying a pickup truck includes budgeting well, understanding your needs and wants, picking a truck type, and checking reviews. Knowing how to put a truck cap on your pickup allows you the ability to protect cargo, add value to your vehicle, and customize its appearance. Choosing among regular, mid-grade, and premium gasoline or diesel fuel means checking the requirements for your vehicle.